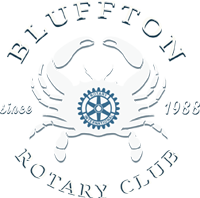 The holidays have come and gone...if you are looking for the next FUN event in Bluffton, look no further than the "famous" Bluffton Rotary Club Oyster Roast! What could be better than fresh steamed May River oysters, grilled brats, homemade chili and hand cut fries... plus sharing the blazing fire pit with your friends...all while listening to great music and enjoying your favorite beverage? Save the date - Saturday, February 2, 5:00 - 8:00pm at the Bluffton Oyster Factory! All you can eat. Advance purchase, $35; at the door, $40. Additional charge for soda, beer and wine. Thanks for your support of the Bluffton Rotary Club and the good things we do for the community!